We were recently lucky to be contacted by collaboratio helvetica, a platform and community dedicated to reigniting the culture of collaboration. One of their big projects for 2017/18 is to build a systemic response to gender equality issues by tackling the problem from a different perspective. Naturally, PWN Global is excited to be involved, and Rob Baker, Co-President of PWN Global is going to be working closely with the team in Switzerland to participate in this innovative problem-solving initiative. For those of us who have spent decades on the topic of gender equality, it will come as no surprise that Switzerland is ranked #26 of 29 OECD countries for its performance on The Economist’s Glass Ceiling Index, just ahead of Turkey, Japan and South Korea. In short, the gender gap is alive and well in our country. What is more puzzling is why this gap persists, despite widespread efforts to address it, and why the situation seems to stagnate, as suggested by the World Economic Forum’s gender gap report, where Switzerland dropped 10 places, from rank 11 in 2016 to rank 21 in 2017, now lagging behind the Nordic countries. If we think about the underlying causes of gender inequities in Switzerland, we know that just like in other countries these encompass both structural issues and the persistence of deeply ingrained biases about the roles of men and women in society. One example of a structural issue is the severe shortage of affordable child care options for parents. In a country where child care is difficult to secure, and child care costs account for 47% of the average wage, and where women earn on average 18% less than men, it is not surprising that women will tend to work part-time or relinquish their careers to care for their children. These choices perpetuate existing gaps and reinforce the current system. With respect to biases, Swiss cultural norms still have an influence on the roles that men and women play in society – with breadwinner roles typically assigned to men and care-taking roles to women. This no longer corresponds to the wishes and aspirations of many, especially the younger generations, of which 90% (of both men and women) say they want to work less in order to spend more time with their family. Clearly there are organisations that are addressing these issues, be it a campaign to push for a (20 day) parental leave for fathers, more and more companies applying measurement tools to ensure equal pay for equivalent work, or office-based child care services. In terms of gender bias, there have been increased efforts to raise awareness among employees through targeted trainings – albeit with variable and often unmeasured levels of impact. With collaboratio helvetica, a platform and community dedicated to reigniting the culture of collaboration around the Sustainable Development Goals (SDGs) in Switzerland, we decided to tackle the issue from a different perspective. We believe that gender equality is a systemic issue and therefore requires a response that is systemic. In other words, we need to explore the root causes of the gender-based discriminations we observe everywhere and start to understand better how the systems we have built and our role within them contribute to their continuation. We see a huge opportunity to break through the remaining barriers and establish a new cultural norm regarding gender roles that includes all realms of activity from caring for a family all the way to how leadership is conceived of and embodied in the public and private sectors. In fall 2017 we embarked on a 7 month Gender Lab Journey, which aims to explore all aspects of Gender Equality on a personal, cultural, societal and organisational level with a diverse cohort from different parts of the system. 20 Explorers have committed to attend four retreats of 2.5 to 3 days and engage in activities in-between, totaling to about 5h/week of their time. The cohort of Explorers is diverse in terms of gender identification and expression, sectors (private, public, academia, social entrepreneurship, civic society, IOs), regions of Switzerland (8 cantons represented) and ages (24 to 61 years old). On their journey, the Explorers go out and follow what they feel called to explore, going for example on Sensing Journeys or Dialogue Interviews with people who have different perspectives on the questions they’re looking at or important insights to take into consideration. Hence, as they map the system and increase their understanding of it, they work closely with different stakeholders to gather the needed data, further ensuring the participatory and interdisciplinary nature of the project. 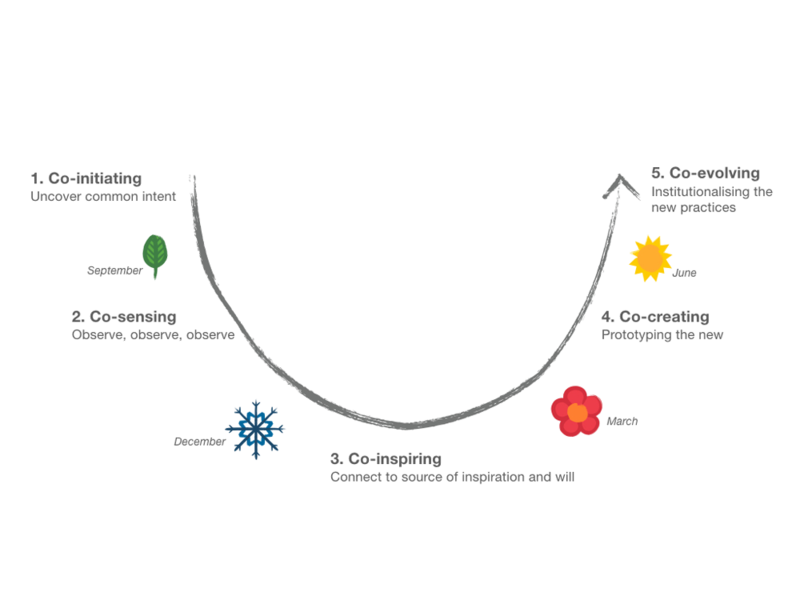 On this theoretical and experiential basis, the Explorers will develop structural solutions ("prototypes" ) within their sphere of influence, which are then tested and further developed. Alongside the Gender Lab we have created a co-learning circle, comprised of people who are curious about, affected by, or supportive of Gender Equality. At the core of the circle is our respect for each other as humans and our connections in the roles we have in common whether it be as parents, partners, or employees. The circle engages participants in exploring how to act as leaders and role models of Gender Equality in Switzerland, and how to best support the Lab with their knowledge, networks and resources. Inspired by Swiss values of democracy, participation and dialogue, we have also developed a format called Dialogue Evenings, to extend our exploration to a broader audience. 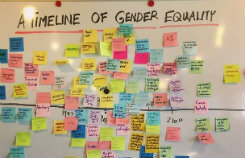 After each Gender Lab retreat, the key insights become the centerpiece of evening workshops taking place in Coworking spaces across the country. Using dialogue methods and group processes, we bring the topic of Gender Equality into focus and engage actors of the local ecosystem. We then feed back their insights into the next Gender Lab retreat, closing the loop between local and national, depth and breadth of scope. (If you are interested, you can join us at one of our up-coming Dialogue Evenings). Further, a key goal of the Gender Lab is to activate an ecosystem around SDG5. We seek not to replicate nor to partake in any sort of competition, and instead to build strong collaborations with existing initiatives of all kinds. This is why we partnered up with PWN, ensuring on the one hand that our pioneering work builds on the knowledge and experiences of the many people and organisations who sought to practice gender equality in the past, as well as increasing the resonance field of the solutions developed in the context of the Gender Lab. We are welcoming that these will feed into PWN Global’s strategic direction and programme development as the network is committed to support its individual and corporate members to build better balanced workplaces, locally and globally. A crucial feature of ecosystem awareness is gaining a deeper understanding of the unique contribution that each actor can make, hence if you feel called to do so do not hesitate to reach out to see what yours might be, as an individual or organisation. By basing our work on a collaborative approach, we believe to empower the Lab to gain more traction, build powerful networks, and ultimately achieve more impact. Though the concrete results follow the principle of emergence, the Gender Lab generates new knowledge and learning opportunities as well as solutions, which may include a new child care model, a parental leave model, an intergenerational workshop, or a campaign. These solutions, designed in the form of prototypes, may be eligible for funding for scaling and further development. In addition,, throughout the lab, the Explorers develop new capacities and skills, such as listening and communication. This experience also fosters the increase of trust and collaboration within the ecosystem, leading to people and organisations often working together beyond the lab. The Gender Lab is a temporary working group assembled annually. Since gender equality will not be achieved by one lab within a year, we designed for a more permanent structure of repeating cycles. With this first cycle of the Gender Lab, we want to lay the foundation to integrate further decision makers into the process in the next few years, thus constantly developing the sphere of influence and the quality of the process. We have embarked on an adventure, trying out a bold experiment. Where it leads us will depend on each of our individual commitment and contribution to transforming ourselves and the system. We are curious to see where the sensing will lead our Explorers, especially as they start activating a wide array of actors. We would be happy to report back on where these promising seeds are leading us as we progress on our journey. Do you want to join our vision and activities, support our prototypes or become a collaboratio helvetica partner? Don’t hesitate to contact us! Nora Wilhelm was born in the German-speaking part of Switzerland and grew up in Geneva. She graduated from the University of St. Gallen after having studied International Affairs in 2016. Throughout her studies, she continued her involvement in various youth-led initiatives, most notably the European Youth Parliament (EYP). 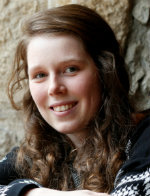 She was President of EYP Switzerland from 2014 to 2016 and organised an International Session in Laax, which brought together 350 young people from all over the continent under the Patronage of Didier Burkhalter (Former Swiss Prime Minister and Foreign Affairs Minister) to develop solutions around the topic of sustainability. Today, she is the Catalyst of collaboratio helvetica, a platform for innovation around the SDGs in Switzerland, which opens spaces for open dialogue, experimentation and collaboration to co-create the future with a wide array of actors. Author, facilitator and social entrepreneur, Nicole Schwab co-founded a number of non-profit organizations active in the environmental and gender fields, including EDGE Certified Foundation, a global label certifying organization for closing the gender gap in the workplace. She spent many years designing and facilitating collaborative processes for groups and organizations, weaving together a focus on unlocking group genius, with approaches that foster deep personal enquiry and wellbeing. More recently, she is bringing her combined experiences to collaboratio helvetica’s Gender Lab. Her first novel, The Heart of the Labyrinth – soon to be turned into a feature film – has been acclaimed as a beautiful exploration of deep mind, offering a message of Earth-centered wisdom. 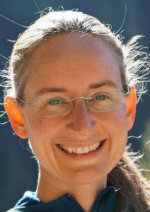 Nicole blogs on the nature of reality and is on the board of the Schwab Foundation for Social Entrepreneurship, and the Advisory Boards of The WellBeing Project and Treesisters.